It’s our second winter living in Spain and we feel like we’re finally getting it down. Good thing too, because we’re just coming out of a week-long storm here in the Valencian beach town of Denia. Nothing like hands-on experience for figuring things out. We not only better understand why Spaniards and their houses have some of the things they have, but also how adapting to the use of these things does help make our winter here cozier and more enjoyable. So, in no particular order, here are the top 9 things to have for winter in Spain, whether you’re living here or coming for a visit. Think You Know Winter in Spain? First things first – it’s crucial to understand Spain’s weather, housing, and diverse terrains. One of the biggest assumptions foreigners make about Spain is that it’s always sunny and warm here, throughout all parts of the country. Spain gets cold in the winter, with the Canary Islands as the exception. Some of the far southern areas, like south of Cadiz in the region of Andalusia, can still be relatively warm, but perhaps not ‘swimming’ weather for some. Spain has an amazing diverse array of terrains and climates, from mountainous and green to dry and arid plains to the lovely sandy beaches and rocky Mediterranean cove. 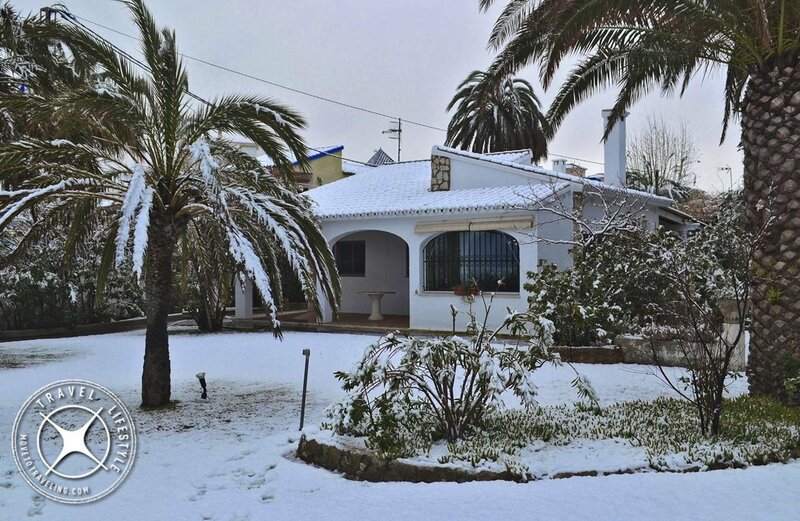 What we have seen and experienced is that these top things for winter living in Spain are generally used in all areas. So throughout Spain, we’ve noticed that there are two major influencers. One, on the sea it’s very humid and damp; we’re talking wet cold. Two, the construction of housing seems to be pretty similar throughout the country. Their common traits are tile floors, light insulation or none at all in the southern areas, and materials and construction methods used that help a home stay cool in the summer without really taking into account staying warm in the winter. Being aware of these is key to choosing and setting up your home in Spain to be warm and comfortable in the winter, rather than feeling like you’re living in a damp ice-box. Being from the US, we’re used to central heating and air-conditioning systems that use ducts and are built into houses so they’re practically unseen and thermostat self-regulating. But here in Spain, this is a lot different. While some homes in Spain are now getting central heating with thermostats put in, they are still rare. The most common here is what is simply referred to as an air conditioning system, or in Spanish aire acondicionado. It is a wall unit that is attached along the upper part of a wall and uses a heat pump that both cools and heats. Many also help to dehumidify. So when you’re looking in Spain for what home to rent or buy, or even where to book a vacation, if they say they have air-conditioning and heating, they most likely have one of these two-in-one systems. The other kind of heating system that is quite efficient are thermostat regulated wall units that radiate heat using a heat-retaining gel or liquid. They plug into an outlet and are mounted to a wall just above the floor. The still more common type are the ones that are on wheels and can be easily moved around. These can warm up a small space nicely, but tend to not be as efficient and can really eat up energy. More homes than you would think don’t even have air-conditioning or heating of any kind. In those cases, for winter a home or even apartment may have a fireplace or come with a butane gas heater. Now, Amalia is really against the butane gas heaters, because while they work quite quickly and help dry a space out without using electricity, they still emit some gas. It’s why the units have instructions and warnings on them to have a window cracked while in use so the gases are not trapped inside. Yeah…not our preference. We know dehumidifiers are common throughout other countries, yet having come from Colorado’s super dry climate we hardly ever used them. 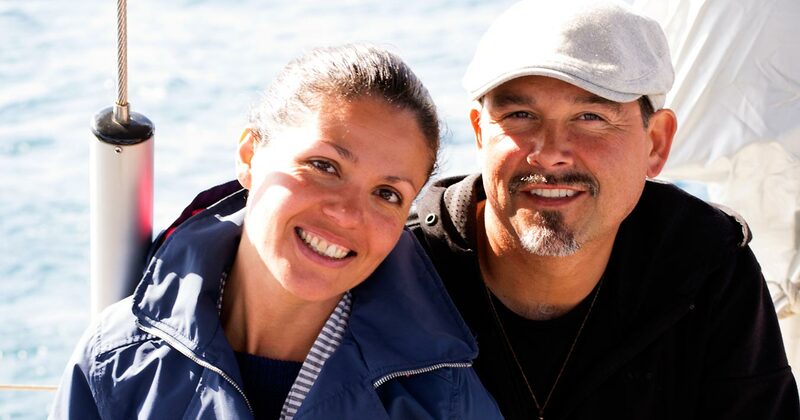 Here along Spain’s Mediterranean Coast, we have learned it’s essential to use them. The size of the home will determine how big of one you need or if you should have more than one. They range in price from near 50 Euros to being hundreds of Euros, depending on how energy efficient they are and how large of a space they are meant for. A nice option for those of us who move around a lot, are the smaller ones that are especially portable. We have an efficient, medium-sized one. On a daily basis we run it, moving it around to different areas on the house for an hour at a time. This varies depending on whether or not we get rain. For example, at the tail end of all the recent rain we just got, we’re running our dehumidifier almost all day. Another tip is to have it running even while you’re running the heat. Having a dehumidifier is also important because otherwise you run the risk of getting mold in your house. 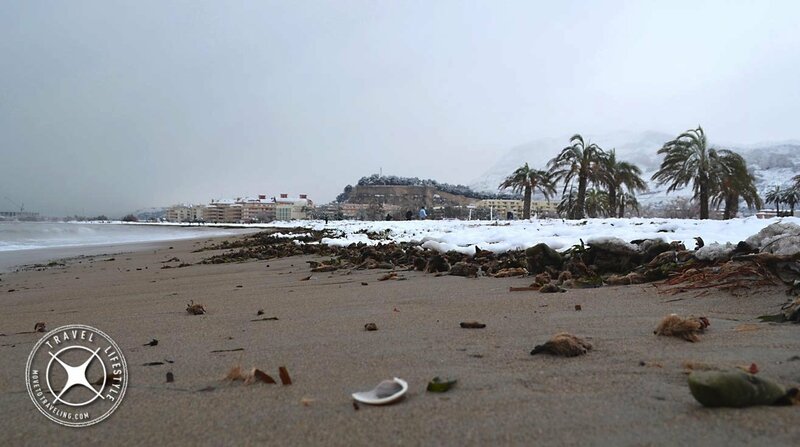 Here in Spain, and especially living right on the sea, mold starts to grow rapidly during and even more during the winter. Running heat only creates more moisture that contributes to this if you don’t have a dehumidifier to balance it out and dry out the moisture inside. This is especially seen in bathrooms here in Spain, since very few have vents for the moisture created from hot showers. Even if a bathroom has a window you can open, it won’t help if it’s 80+ percent humidity outside as well and cold. See what we mean? Take it from us, because we know first hand since both of the two bathrooms in house have no vents and only a window. Spanish houses and tile floors seem to go together like peanut butter and jelly. Seriously, they love their tile floors here. Why? Because in the intense summer heat it helps keep the house cool and their easier to keep clean (and actually, most Spaniards are known for being very clean, even Spanish children). A rug underneath your bed especially helps during the winter months. Remember too that most times, a Spanish house or apartment may feel colder inside than it is outside. It’s those tile floors and the insulation or lack thereof. Essentially, the house turns into an oversized freezer. Rugs will help big time. Aside from under the beds, we also recommend one in the living room, at the sink in the kitchen, and for under a desk and/or the dinning room table. We’ve never understood, or liked much, the heavy-duty roll down blinds that all Spanish houses and apartments seem to have. Until now that is. Do you know which ones we mean? Think storm shutters, but that roll up and down. On the inside they have a flat band that you pull on to let them down or raise them up, rolling them into a box area at the top that is built into the the window frame and keeps them out of sight. When shut, these things seem impenetrable. Spaniards love them for darkening a room in summer or winter, for their siestas in the afternoon after lunch and at night for going to bed. For us, they still tend to feel claustrophobic. We love big, large windows and expansive areas of glass. But hey, our windows also have heavy, ornate wrought-iron bars since we’re a house on ground level, right on a popular beach. It’s things like these that we’ve become accustomed to and now see the benefits of. During winter, and especially when living on the sea, these blinds can help to keep moisture out. They can also do the opposite too, so make sure you’re running that dehumidifier. And, once again for those clean Spaniards, they help to keep the windows cleaner when a storm comes up, which makes more sense to us now when we see all the salt residue that a storm whips up onto our house. This one is more fun, at least for those of us who love clothes and fashion. For everyone it’s essential since no one really likes wet, cold feet and walking around drenched. The simple, obvious line-up is all that is needed: a good rain coat, a good rain hat or hood on that rain coat, rain boots and a sturdy umbrella. In many cases, we’re learning that the umbrella can be a take it or leave it item because here on the sea especially, the winds that we get our tremendous. So you can bet that umbrella soon becomes more of a danger and gets broken rather than being any help. When it comes to a good rain coat, Amalia recommends from experience a longer, trench coat style, so your pants are protected. Her favorite brand that her coat comes from is Helly Hansen. Similar thought behind the rain boots too, but really up to preference. The lower-cut ones can be easier to pack and travel with, while taller rain boots will keep more of your pants dry. Spain just isn’t into clothes dryers! Have you ever noticed in the villages and cities alike, clothes strung out in colorful lines over the streets? They are simply part of what is the iconic European street scene. Some are starting to pick up clothes dryers, but it’s one of those things where it’s just how it’s always been done – clothes dry out on the line. Obviously in winter this can present a problem in many parts of Spain, like the north. In the south, maybe not as much. Locals here in Denia still laugh at us for wanting a clothes dryer, but then again, after this second week of unusually rainy cold weather and hardly any sun, they’re laughing less. Factor number one though is that we live first line on the sea, so even when it is sunny, it can be extremely humid. This means clothes smell musty and hardly ever feel completely dry. Who likes clammy, damp clothes that smell musty? We’re on the search now for one of the ingenious appliances known to Europe that we now are convinced we’re going to love – a heat-pump clothes dryer that you simply plug in and doesn’t have to vent. Sometimes the simplest of things can make such a difference. House slippers are by far the easiest and most convenient thing you can make sure to have for winter living in Spain. There’s an array of affordability according to your taste and budget, and they’re easy to pack and take with you. For us, house slippers are a must. It goes back to Spanish houses having tile floors. Those get, and stay, cold. Let’s not also forget that switching out your outdoor shoes for your cozy slippers when you come inside, also helps those tile floors stay cleaner. At least for a time. Here in our home right on the beach, that’s pretty much laughable since sand inevitably makes it inside nonetheless. Wanna go luxurious yet long-lasting for slippers? We’re eyeing Mahabis Slippers for some time this year. With great styles that are high-end, and truly work, they’re great for our lifestyle needs here, where even during summer it can be nice to sport house slippers when inside. Check them out with us to learn more. Sound strange? Well, it’s for real, although mainly in the south of Spain. This goes for year-round though and is more so for when it rains a lot. Those little ‘ormigas’ start booking it into the house through any little hole possible because the rains flood them out of their home. It’s one of the things we’ve come home to or woken up to several times. You can use typical ant or insect sprays, but they’re full of chemicals that are toxic for humans too. We recommend making your own home solution of water with apple cider vinegar and a splash of bleach. Just spray that on those little suckers and they drop dead. Ultimately, what really has effect is finding where they’re coming in from and spraying directly there as well. You may have to keep going back and doing this until it dries up outside or they they stop coming in, because even while they seem to stop at first, they’ll try to come back through there every few hours or so. This last item is a luxury item. Yet a nice one and if you’re set to live in Spain, they can be affordable to buy and have installed or there are even free-standing ones that you simply plug in and place anywhere. These babies are just that – a rack that safely heats up to keep your towels dry and warm. They’re one of those nicer features that nice homes and hotels will have in their bathrooms here. While it’s not essential, it helps to keep towels from staying damp and possibly even growing mold. This can mean doing laundry less frequently. Have you lived or visited Spain in winter? What things did you find were the most different to get used? With this second winter almost under our belt, we’re actually feeling really excited about learning how comfortable we can be by adopting different ways of living than what we were used to in the US. There are a few things that are less efficient here, yet overall, we’re finding things are far more efficient and affordable in Spain than the use of power for winter living in the US. Remember as well that Spain, along with a lot of Europe, is doing more and more with solar power. There are a lot of affordable options for powering one’s house with solar here, whether you live in one of the cities or a small village. We’re also reminded to expect the unexpected, no matter where you travel to and live. Weather this year has been different and strange all over the world. 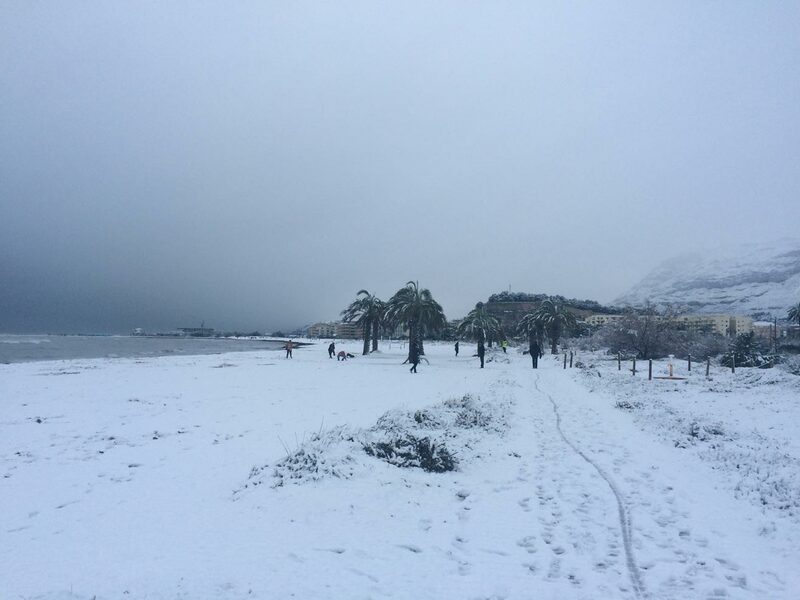 As you can see from our pictures, we got over an inch of snow here on the beach in Denia the other day! 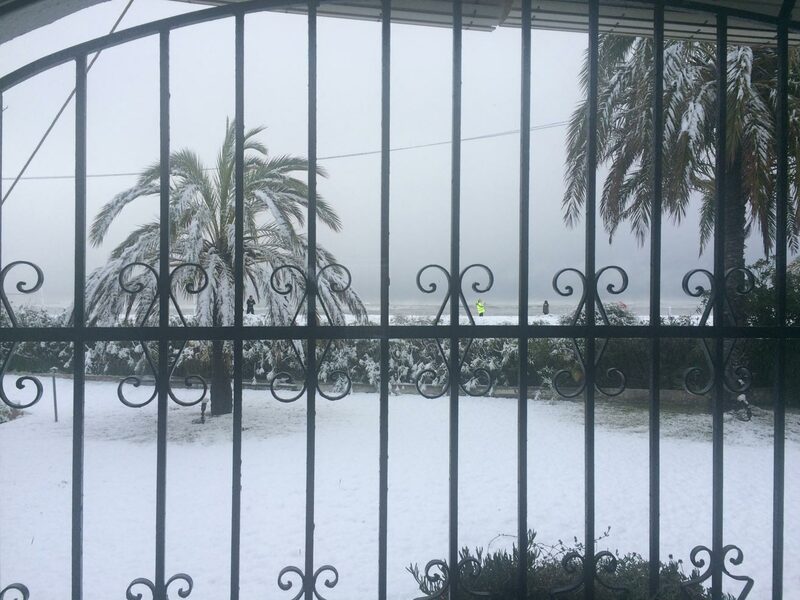 While some people here say it froze and lightly snowed in 2005, there are locals who say it’s been 36 years since the last time it freakishly snowed. Either way, it was quite the shock to wake up to! Have thoughts to share or questions to ask about winter in Spain? Chime in below. We’d love to hear from you. What a surprise to find out that you are from CO! I rented out my house in Olde Town Arvada, to move with my kitty, Toby, to Fuengirola in October. 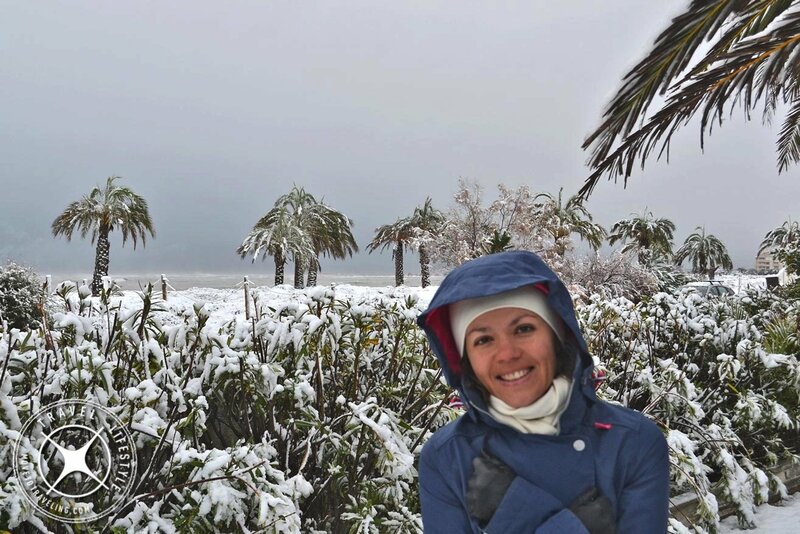 For many of the items you listed for winters in Spain, I had to learn about the hard way! I had mold all over my walls, I was told that I needed to keep my windows open a bit during the day, and buy dehumidifier boxes. And slippers with good soles, carpets, etc. Brrrr. I have met so many wonderful new international friends, and love Spain! I have only met one American. If you ever get down to the Malaga/Marbella area, I’d love to meet you! Hola Cynthia. How wonderful to meet another fellow Coloradan. We know Old Town Arvada quite well, although its been a few years now since we’ve been there. We’re so glad that you found and enjoyed our post. And yep – we can definitely relate about learning the hard way. Well, welcome to España! We hope that you continue to settle in and get even more comfortable in your new home. And you bet that when we make it Malaga area, we will let you know and would love to meet up. It’s one of the places we haven’t been to yet and want to visit. 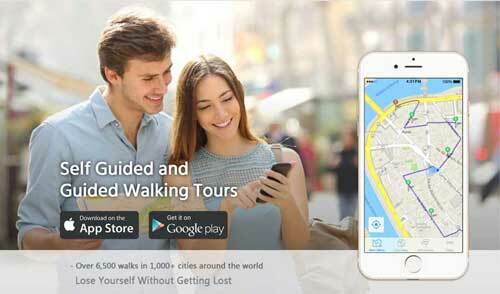 The same goes for you, whenever you’re in the area of Alicante / Valencia – please look us up so we can meet. Denia is great to visit. We hope you continue to enjoy our blog and come back often.